What is Victorian Era Social Darwinism Definition? What is social Darwinism definition for dummies? What are social Darwinist beliefs? What are social Darwinism examples? What are social Darwinism implications? What is social Darwinism significance? 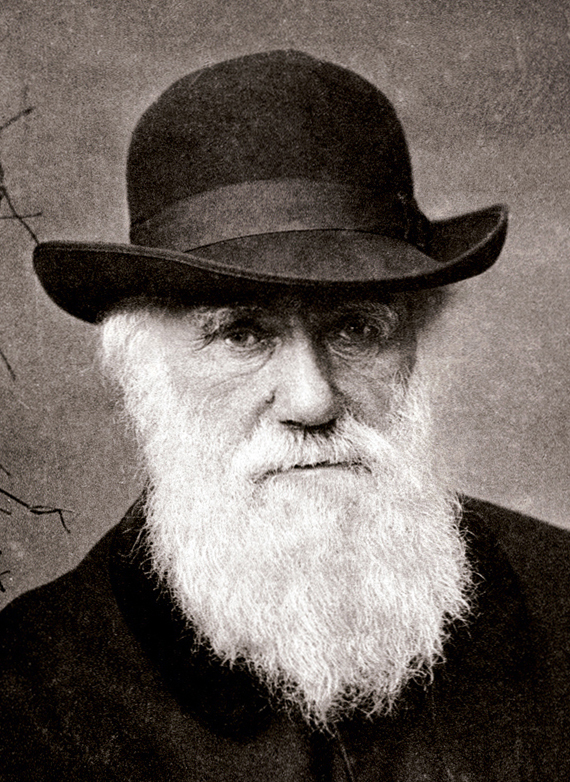 Should Darwin be blamed for Social Darwinism? The Victorian era which started in the year 1837 is usually known as the period of logic and reasoning. The thought process of the people of that age changed due to the industrial revolution. This was also the period when Charles Darwin published a theory about the origin of the species. Before the theory was published people believed that God has created the universe as well as men. But the theory demolished this concept which caused a great stir in the society. The religious sentiments were hurt and lots of people were strictly against this theory. In modern times, Social Darwinism is a name given to various theories of society that emerged in England and the United States in the 19th century. Social Darwinism applies biological concepts of natural selection and survival of the fittest to branches like sociology and politics. Social Darwinists usually argue that the strong should see their wealth and power increase while the weak should see their wealth and power decrease. However, there is a difference of opinion on which groups of people which are strong and the ones which are weak. Many such views stress competition between individuals in laissez-faire capitalism; whereas the opposite concept of government intervention in social development (also known as Reform Darwinism) motivated ideas of eugenics, racism, imperialism, fascism, Nazism and struggle between national or racial groups. So, to define simply, Social Darwinism is an application of survival of the fittest to sociology. Eugenics is a different idea but can be motivated by Social Darwinism. It is the selective breeding of humans to produce “favorable” traits, as one might do with livestock or dogs. The world has gone through a number of changes and these changes have been visible in different periods. Most of the changes were brought by certain incidents which shook the base of that period. Victorian Social Darwinism is now largely discredited. Social Darwinism applied biological concepts of natural selection and survival of the fittest to sociology and politics. Social Darwinism was advocated by Herbert Spencer and others in the late 19th and early 20th centuries. Spencer was instrumental in developing theories that linked natural and social sciences under an umbrella of evolution. His belief was that biological evolution has resulted in human intellect, which in turn produced society. So his argument was, human intellectual ability and social activities were a result of biological evolution, and all three operated on natural laws. It was an absolute reflection of English industrialism, which was promoting competition and exploitation. His assertion was that all facets of life, be it human, plant, or animal life, are guided by the constant struggle. In this process, the weak were subjugated by the strong. However unlikable humanitarians might find this process, it was the natural order of things and could not be altered by charity, government welfare policies, or legislative actions. One of the reasons was imperialism in nature as elaborated in above section.Social Darwinism was used to justify political conservatism, imperialism, and racism and to discourage intervention and reform. Social Darwinism was used to justify political conservatism, imperialism, and racism and to discourage intervention and reform. There are some relevant ideas during this period were Victorian degeneration theory and post-Darwinian theories of evolution. Another interesting debate you may wish to look up is pre-Darwinian vs post-Darwinian. Here are some examples of Social Darwinism. Humanitarian assistance blocked for few and promoted for others which include government welfare programs. Applying Charles Darwin’s theory to human society like economics and politics. Applying the theory of “survival of the fittest” to humans. Some terrible implications of Social Darwinism are in justifying racism and thoughts of one ethnicity being superior. Proponents of this theory argue that some human races and ethnic groups have more desirable and stronger traits. These groups end up dominating perceived weaker and defective groups and deserve dominion. Adolph Hitler used the theory of Social Darwinism in declaring Aryan race being superior and others like Jews and minorities being inferior. While originally meant as rules of nature, it does not mean that the fittest one will survive and that the most adapted to survive will remain. Society is not following the rules as Darwin’s natural selection, there is no reproduction of the poor or the criminals. It just means that society determines a rule of selection about who is worthy and who should be ostracized. These rules are determined by society itself. In my opinion, the significance of social Darwinism ends there. As per Social Darwinism, Imperialism was the natural expansion and success of a well-evolved culture and this expansion would help remove or improve underperforming cultures. Imperialism in Europe was at its peak between 1850 and 1950. Great Britain ruled vast regions of the globe. To justify their control of the colonial population, for several years, Europeans had stated that the colonial population was inferior and so needed to be controlled by the more intelligent Europeans. It changed in the second half of the nineteenth century when On the Origin of Species by Charles Darwin was published. While it was attacked for opposing to the church and the bible, was soon accepted as a “scientific” explanation for the dominance of Europeans. Darwinism was used as a major justification for racism and imperialism, especially by fascist governments like that of as Hitler’s Germany. This was how is social Darwinism is linked to imperialism. Darwin himself did not write about various interpretations of his theories. So he should not be blamed for the human rights abuses, imperialism and racial superiority justified using those interpretations.